It has been said that Bernie Carris instructed many more students in gliders than any other instructor in the United States of America. This is very likely true as he was the Chief Instructor for Schweizer Aircraft in Elmira, NY for 43 years. Bernie Carris was born and raised in Big Flats, NY, in the shadow of Harris Hill at Elmira, NY. He had his first glider ride while he was still a teenager in a primary glider some neighbors had built. At age 17 during WW II, he enlisted in the military and became a B-17 tail gunner. When the war was over, he used his military benefits to enter the Schweizer Soaring School and became a part-time instructor at the school in 1948 - and continued for the next 43 years. Soon he was the Chief Flight Instructor. He also served as an FAA Designated Flight Examiner. 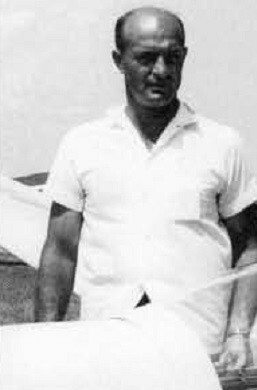 In addition to the thousands of pilots he has checked out and 'hooked' on soaring, there were also some famous people: including Werner Von Braun, Hugh Downs, Cliff Robertson, Bob Cullen and many others, whose names are not as familiar, that have gone on to great success in the sport of soaring. In 1974 Bernie and the school were awarded an FAA plaque for the record of 100,000 flights without a serious accident. Bernie did the test flying for all the Schweizer sailplanes starting with the 1-23D. As part of this task he came up with a procedure for terminal dive brake testing in order to meet the Standard Class requirements for the Schweizer 1-23H-15 and 1-34. He also worked with the FAA, NASA and SSA on joint testing programs. 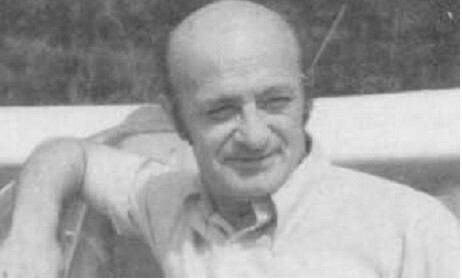 Bernie was heavily involved in the creation of the Schweizer Soaring School manual and contributed to the book - The Joy of Soaring. During the winters, he worked in the Schweizer shops in many varying positions and became an experienced aircraft mechanic. He used this experience with some friends to build a new metal fuselage for the RJ-5. Bernie also loved competitive soaring and his first nationals was in 1948 where he place 19th. He continued flying competitively and placed well in several national and regional competitions from the late 1950s through the early 1970s. As he gained more experience, he often finished in the top ten. He finished second flying the RJ-5 in 1960. In 1963 he came within six points of being the National Champion. Even after he retired in 1986, Bernie continued to serve at the school as a part time instructor. The Harris Hill Soaring Club where he was a flight instructor, established a memorial award in his name to be awarded to club junior members for various accomplishments through the years. To quote Paul Schweizer - Bernie "was a good friend, a quiet person, a top instructor, a good soaring competitor and well liked by his many soaring friends around the world and he will be missed." He earned Silver #95 in 1947 and Gold #183 in 1963. In addition to all the above, Bernie Carris was an avid fisherman.